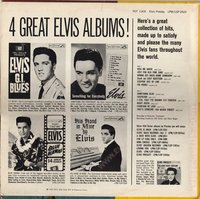 Cover Back: Catalog number upper right corner. 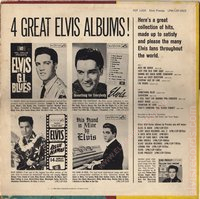 ©1962, Radio Corporation of America - Printed in U.S.A. bottom center. Catalog number upper right corner. 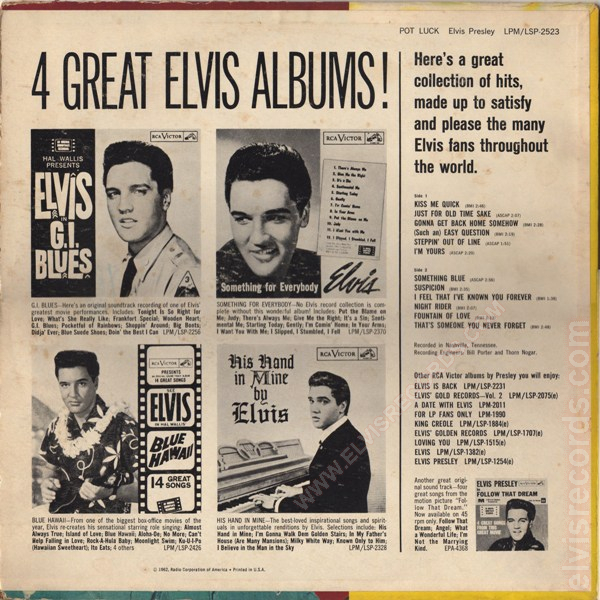 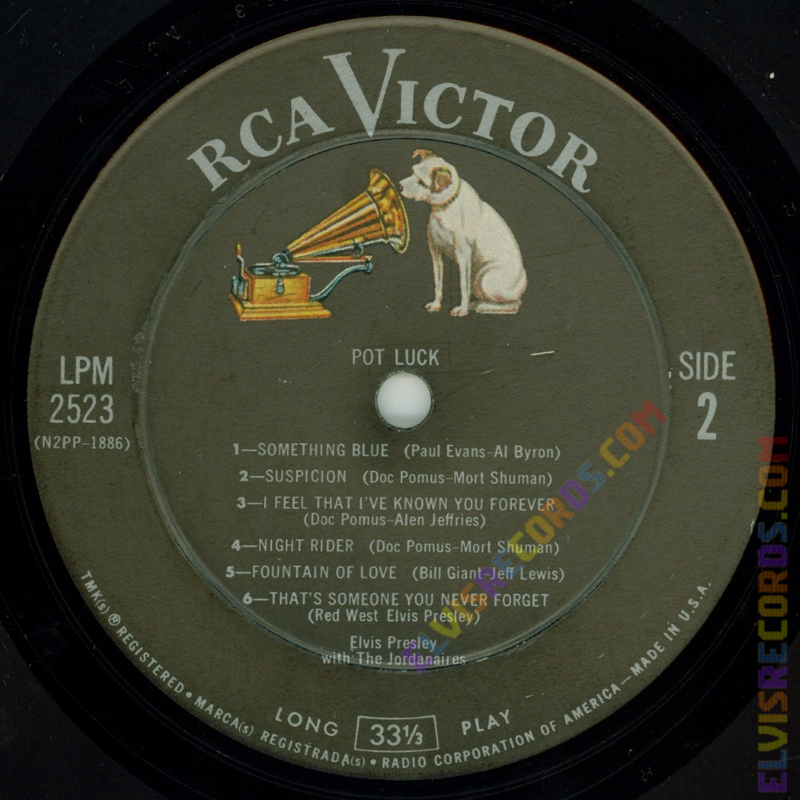 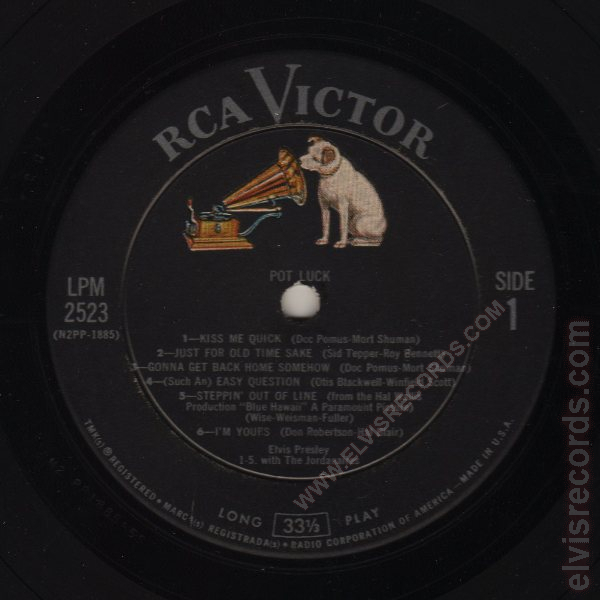 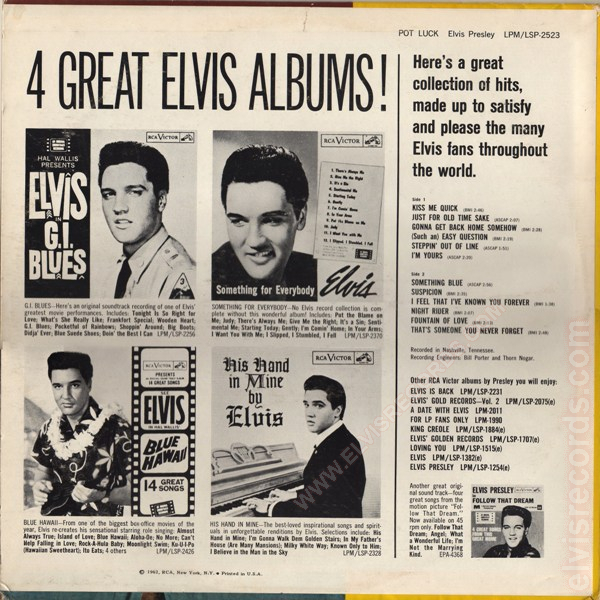 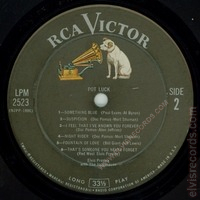 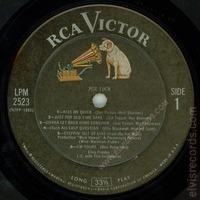 ©1962, RCA, New York, N.Y. - Printed in U.S.A. bottom center. 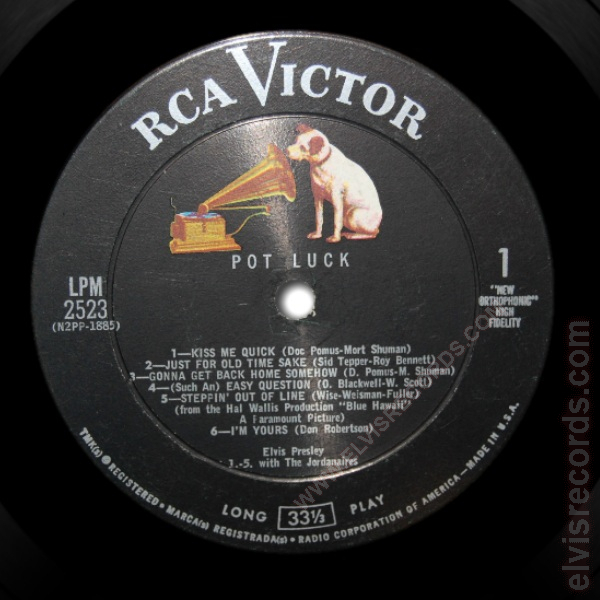 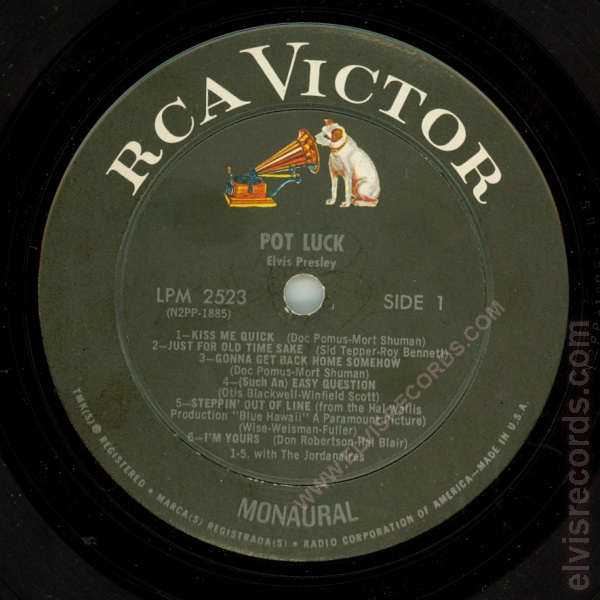 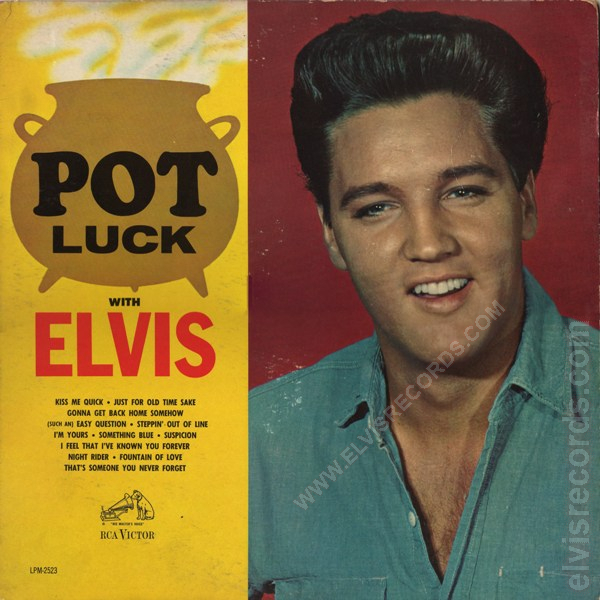 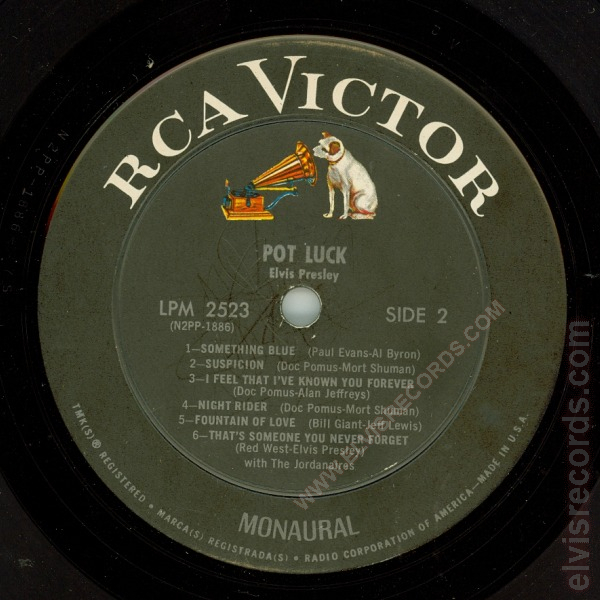 Also released in stereo as LSP-2523 Pot Luck.